When you are wrongfully injured, the responsible party has a legal duty to compensate you for your personal injury. The enforcement of that legal obligation makes our society, our homes, our workplaces, and the products we use, safer for everyone. Nevertheless, a personal injury claim is a complicated, risky, and highly adversarial process. Often on one side sits a powerhouse insurance company with enormous resources. It is in the company’s interest to do whatever it can to minimize financial exposure and keep shareholders happy. On the other side sits you and whatever resources you bring to the table. Your objective, as the law provides, is to be fairly compensated for the harm that someone has caused you. Sometimes, the skills of an experienced personal injury lawyer – or at least the threat to an insurance company that such a lawyer may present – are worth the money you pay a lawyer to represent you. In fact, most people need representation because of the complex legal rules applicable to tort law, the type of law that applies to most personal injury claims. Typically, an insurance company will try to settle a case for the lowest possible amount, and sometimes the insurance company simply refuses to settle the matter in good faith. These are the most obvious cases where you need an experienced attorney, but even when the insurer offers what seems to be a fair offer to settle – without representation, you are probably leaving money on the table. The following are examples of the types of injuries and accidents almost certainly require a lawyer’s help. Some accidents result in injuries that dramatically affect your physical abilities for a long time or even permanently. Calculating your loss in a case of serious injury can be difficult. Cases with serious long-term injuries almost always require some assistance from an experienced personal injury lawyer to get the most out of your claim. 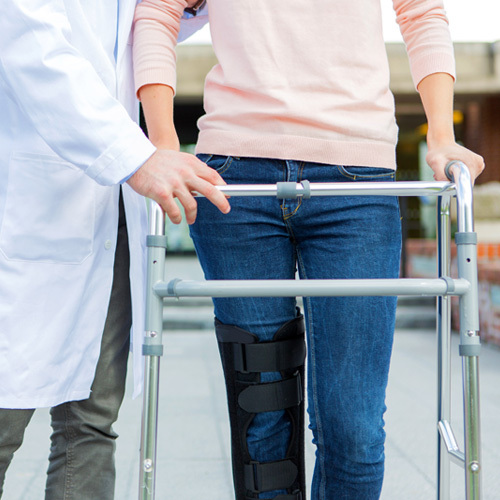 The amount of your compensation is determined by how severe your injuries were. However, what does severe mean in the legal context? In personal injury cases, the severity of your injuries is measured by the combination of the amount of your medical bills, the type of injuries you suffered, and the length of time it requires you to recover. Frankly, calculating your loss can be a difficult task. In cases where it’s challenging to determine what your actual loss is – it’s worth the expense to have a lawyer handle your claim to ensure you receive all the compensation to which you are entitled. If your injury or illness stems from a careless act by unprofessional, or incompetent, treatment by a doctor, nurse, hospital, clinic, or other medical provider, both the medical questions and the applicable legal rules are complex. In these complex cases, the only way to achieve the best results for your claim is to hire a lawyer experienced in medical malpractice cases. Insurance companies are formidable opponents – you don’t have to fight them alone. Malpractice cases always require representation by an attorney with a proven record of success. Everybody knows a story where an insurance company offers to pay too little, or to pay nothing at all. If this happens to you, the only way to fight them is to enforce your rights. That means you need to understand your rights and what you are entitled to in your policy. Most Americans don’t understand what their rights are, and what the insurance company is required to do when a claim is filed. Moreover, the vast majority of Americans are unsatisfied with the amount their insurers pay – yet they accept the offers anyway. Knowing your rights can increase your settlement. A Radom & Wetter attorney can help you decipher your policy in plain English so you can know your rights when making a claim. If you have been harmed, don’t wait to call Radom & Wetter at 908-707-1500. The most important reason you should consult with a personal injury attorney if your insurer refuses to pay is simple: the statute of limitations for personal injury cases is surprisingly short. If you don’t act in a timely fashion, it’s possible that you will lose the ability to make a claim. Another reason to act promptly is evidence can disappear or change quickly. Simply put, with proper management and close attention to all the statuary timelines, your claim may not be fairly resolved – even if you file a lawsuit. A Radom & Wetter personal injury attorney will help guide you through what can be one of life’s most difficult situations. We strongly advocate for your rights with an approach that is cost-efficient, supportive, and always keeps your best interests in mind.